The popularity of online pokies continues to take industry insiders and commentators by surprise. 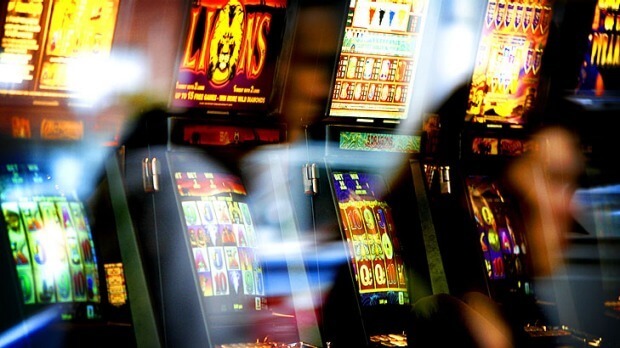 For a long time it was felt that the pokies experience was so deeply wedded to its physical environment that it simply would not translate successfully to the digital world where there are so many alternatives on offer. The thinking was that the largely passive style of play that pokies involve would be out of step with the more active nature of internet use. But, the public appetite for pokies continues to confound. To take just one high-profile example, there are no fewer than 320 different online pokies on 32Red, which is amongst the most high-profile internationally marketed online casino sites. The level of attention – and investment – that is devoted to what in many other cases is presented as a side-line to their core products indicates the absolute commercial driver behind that level of presentation. The blunt facts are that all those slots appear on the 32red, roxypalace, skyvegas and many others because there is a demand for them. In many respects 32red’s core offering is their online casino – as powered by Microgaming’s impressive digital architecture. Pokies in their traditional bricks and mortar guise account for the majority of gaming revenues in Australia. A figure of $9.8 billion – or 60% of the total gambling spend – was reported for 2013. But as Australians increasingly enjoy the benefits of one of the world’s highest levels of connectivity, punters are increasingly choosing to spend their leisure dollars in a virtual arena. This trend is part of the broader shift in spending towards online outlets that extends well beyond the realm of gambling – or even the leisure sector. There is thus a major structural shift in the wider economy which is – in part at least – driving change in the gaming sector. It has been argued that only a small percentage of internet gamblers play pokies online, but this appears to be out of step with the wholesale and ubiquitous provision of games across the digital marketplace. Indeed, in an industry whose base rationale lies in the manipulation of small percentages, such a blithe dismissal of the subject is in danger of missing an important point. The highly detailed report into Australian online gambling conducted by Gambling Research Australia and published in March 2014 appears to have underrepresented the casual use of pokies by gamblers whose principal interest was a different form of gaming. In this respect, pokies online represent one of those small marginal differences that may not be especially eye catching from a statistical point of view, but which may nonetheless have a wider significance . The point is that pokies, whilst they may be a focal point of attention for a small minority (albeit a minority that tends to spend disproportionately highly) they represent a way for site visitors to take a break from their main activity without quitting the site altogether. This may explain the energy that is devoted to the provision of such a wealth of different pokies games to be found on generic casino sites. If the main function of pokies on such sites is not so much to pay for themselves directly, but to do so by keeping players engaged with the site and giving them a relaxing break from their focal activity – poker, roulette or blackjack etc. – before they return to the tables. This explains the continual efforts to enliven what is a relatively stable format with a range of recognisable images of one sort or another, whether in the form of licenced film or cartoon characters or more original designs that draw on familiar historical folk lore. The key point of these numerous designs is to hook in casual passers-by. Any direct revenue that they account for is obviously welcome, but over the longer term the wealth of pokies in these arenas is more about sustaining the interest and enthusiasm of visitors. The universal popularity of pokies makes them the ideal vehicle for this form of marginal engagement. In the same way that pokies have a value in bricks and mortar premises to keep punters entertained whilst they spend time in the bar, the online equivalent is quietly performing an identical function online. Maybe we shouldn’t be too surprised about that after all.